Tony Stark, Reed Richards, Victor von Doom, T'Challa, Amadeus Cho...the greatest minds in the Marvel Universe all have one thing in common: they're not smarter than a 4th grader! 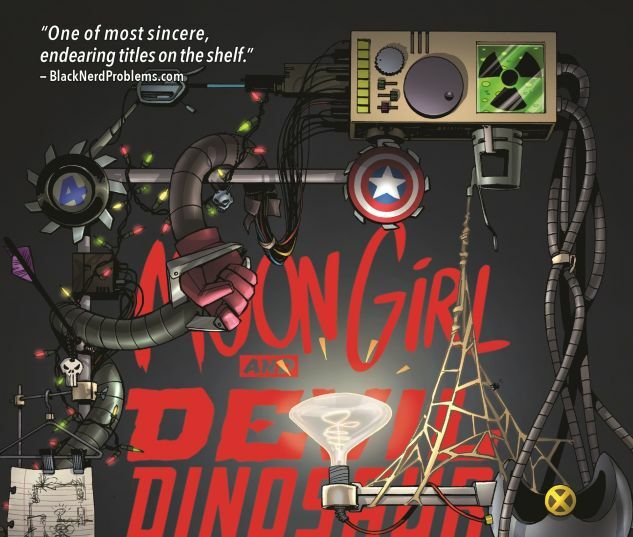 That's right, the rumors are true - Lunella Lafayette is the smartest there is! Now it's time to put her unrivaled intellect to the ultimate test. 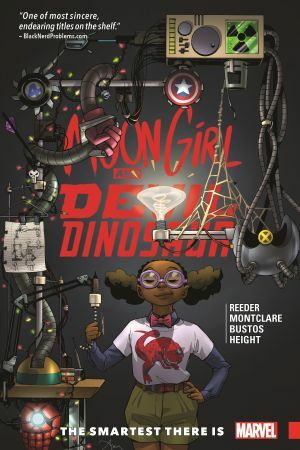 Thankfully her best friend, Devil Dinosaur, is thirty feet of mutated prehistoric muscle, making for the perfect combination of brains and brawn! And they're going to need it to stand up to some of the worst villains the world has to offer - and maybe even one of the greatest heroes! Because, while Reed Richards, the guy who used to be the cleverest one around, is away, his best pal Benjamin J. Grimm is here to defend his pole position! 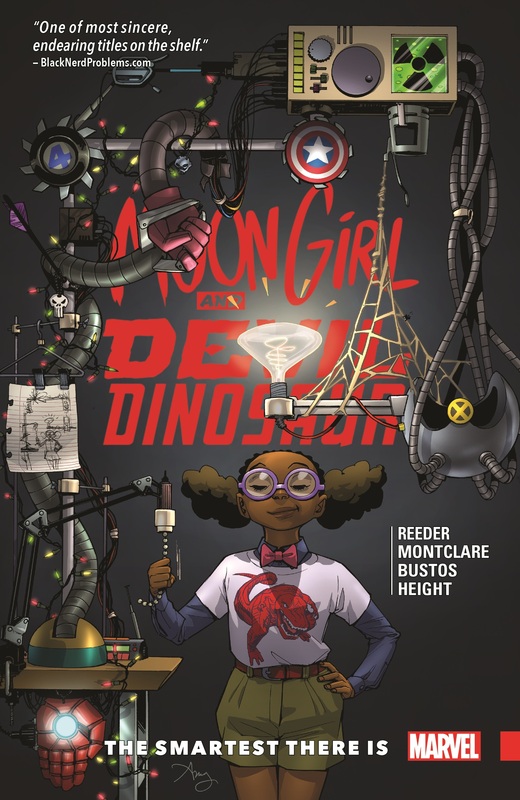 Collects Moon Girl and Devil Dinosaur #13-18.